Debt management is just one of a number of options available to you when facing serious debt problems. These options should be looked at and considered so that you can decide which option is right for your circumstances. There are many factors that might have been influential in your debt. Debt management is not a 'quick fix' to stop this happening. Debt management is one of a number of debt solutions available for people struggling to pay off their debts. A debt consolidation loan may appear to solve things by paying off the existing debts but unless this loan is affordable it can lead to even more trouble. A properly run debt management plan will help to bring debts under control once and for all. In this audiobook, there's a simplified blueprint laid out for you before you proceed to make wise choices. 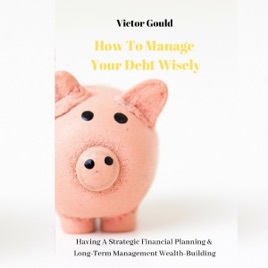 Chapter 1 - What is debt management?